Wat is dit voor site? Wij zoeken de goedkoopste boeken op internet. ORT:RWBCK:PHON L5 DOLPHIN RESCUE OPvonden we het goedkoopst op Bol.com voor €0. We hebben gezocht in nieuwe en tweedehands boeken. Rechtsonderaan de pagina kan je het boek direct bestellen	via Bol	.com. Read With Biff, Chip and Kipper is the UK's best-selling home reading series. It is based on Oxford Reading Tree which is used in 80% of primary schools. 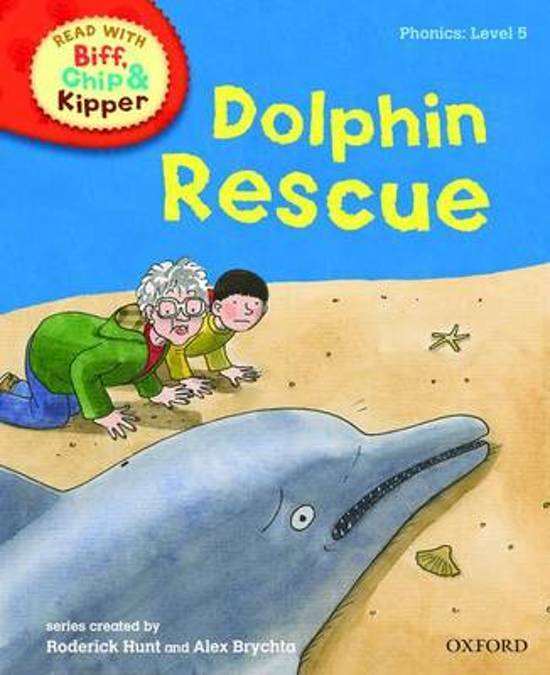 Read With Biff, Chip and Kipper Level 5 Phonics storybooks have been specially written to allow children to practise their letters and sounds as they do at school. Fun plots, familiar characters and carefully levelled text create the perfect combination to build children's confidence and enjoyment of reading. The Level 6 stories practice various spellings of sounds such as 'oo' as in blue, cool, shoe, new as well as revising sounds introduced at the earlier levels. Level 6: oo ue ew oe; ow; s ss se ce c; air; ou ow; u oo oul; ear eer; le; oi oy. The stories are slightly longer at this level to increase reading stamina and fluency. Each book also includes practical tips and ideas for you to use when you reading with your child and fun activities. This series also provides essential support for parents through www.oxfordowl.co.uk. Visit the Oxford Owl for practical advice for helping children learn to read, all you need to know about phonics and lots of fun activities and free eBooks. With plenty of support available inside the book and online phonics practice at home has never been so fun or so easy!